I’m sensing a rise in rebel country music and the general feeling spreading around the South, in particular, that people want to take America back from those who have hijacked it and think its free. However, as the songs warn, “it’s gonna be hell and you feel like the whole world is raining down on you, brought to you courtsey of the red white and blue. Justice will be served and the battle will rage. This big dog you’d be sorry that you rattled his care its the American Way.” Watch out NWO. 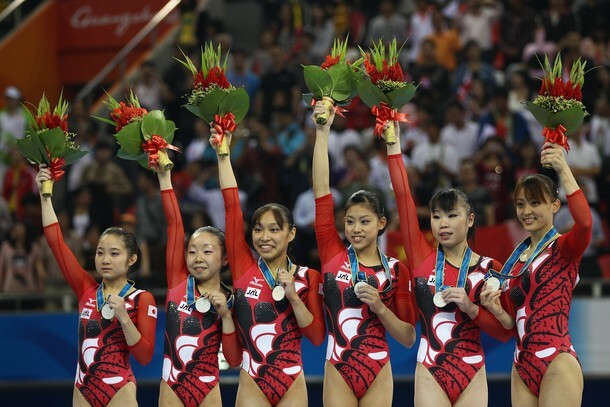 I had a strange dream that has been bothering me that something sinister was happening to some Japanese olympic gymnasts. They were being targeted and someone was trying to kill/hurt a few of them due to some kind of jealousy or desire to make a point. I’m not sure if they were in the USA or Japan but they were Japanese looking. Anyway, this prediction might sound silly but this bad dream just won’t leave me alone so I thought I’d post it. 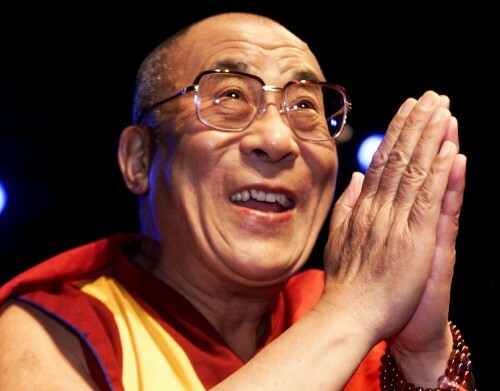 The leader of the Tibetan Monks, the Dalai Lama, has a large role to play in the upcoming world war. He is nearing death and is fearful of reincarnating due to the role that the communist Chinese regime would have in stopping him in his tracks. That’s why he’s gone on record saying this would be his last incarnation on Earth. It’s not going to be his only go around here on Earth, but he can’t let the Chinese push out a false Dalai Lama who is merely an agent of the regime in power. When he dies, you will see his reemergence come in the west by the late 2030’s. If China has an installed anti-Dalai Lama in power before then, then it will become the source of a bitter conflict over who is the legitimate leader of the Tibetan Monks. That could come to a head in a way that results in a fourth world war by the middle or the end of this century. That’s something for many years off. Until then, watch for the Dalai Lama’s death and if he is mentoring young Joshua Wong in his attempts to overthrow Chinese influence in Hong Kong. Things are going to dramatically change in China this year. The status quo will soon be overthrown. These updates are going to come slower than I’d like, but they will be published nonetheless. Let’s start by talking about these three individuals above. 1) Although Prime Minister Benjamin Netanyahu’s Likud party won the most votes in last week’s Israeli general election, the methods to which he chose to garner votes have already begot very financially dire consequences. In his efforts to pander to right wing voters with fear mongering and backtracking on a Palestinian state, it opens up the Middle East into a crisis unlike any since the threats of a third world war began in the fight against Communism in the 1940’s and 50’s. As such, Netanyahu has backtracked on these initial proclamations, but that may cost him the chance at the prime minister seat. 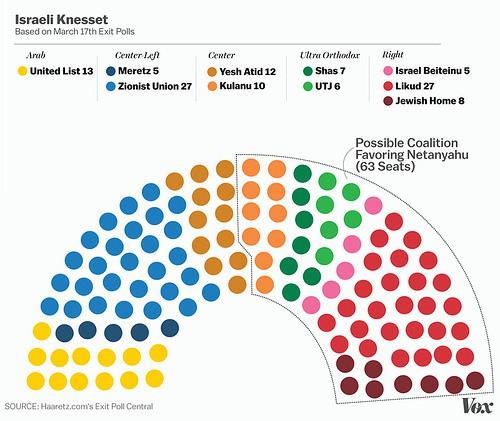 If the right wing Meretz party feels that Netanyahu will capitulate to the international community and renege on his promise to end the two state solution, then they will not allow him to form a new coalition to oversee Israel’s government. In such a scenario, his moderate challenger, Isaac Herzog, would get a crack at accomplishing this task instead. If he can persuade support from the center right Kulanu party in the efforts of forming his own coalition, then will get the 61 seats needed to form the government. Even in the event that Netanyahu is able to form the Knesset, such a right wing coalition cannot stand and he will be forced to resign later in the year due to international pressure. If President Obama was in fact behind the efforts to influence Israeli elections, then his meddling is not finished just yet. I feel bad for the Israeli people because they are doomed if they do and are doomed if they don’t. If Netanyahu forms the coalition government, then he will bomb Iran in September and start of a fresh round of war in the region. 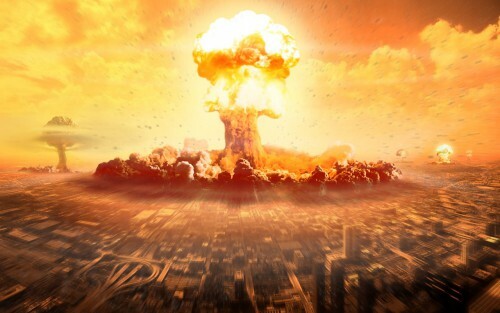 The northern section of Israel will be nuked and the south most part near the Gaza Strip and the West Bank will be invaded by the Middle East forces of Egypt, Syria and Saudi Arabia. This will see Israel taking over by the Palestinians and the Jews will be forced to flee from their homeland. If Herzog forms the government, then he will be forced to take a bad deal on Iran and his people will no longer support his governance. The chaos and insurrection around this decision would see the international community remove Israel’s status as a Jewish state and it would become an international territory under the control of the weakened United Nations. This would allow Jews and Arabs to co-exist peacefully, but Jewish prominence would fade over time. In such a scenario, there is already a back up plan. There are Jewish organizations who are plotting to establish a backup or second Israel for support of sustainability of their way of life. Their target is the embattled Swaziland under intense turmoil from the incompetence of their leader, King Mswati III. A famous Swaziland jew, Natan Gamedze, has been plotting with these groups to overthrow the leadership and establish a Jewish state. 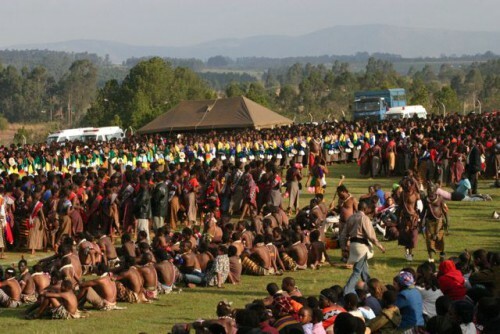 Many of the citizens of Swaziland are on board because of how it will benefit them culturally and economically. The introduction to the fist world and the establishment of democracy amongst themselves in a tempting apple that will see bites amongst the people there. As such, in 2019 (regardless of whatever happens in Israel), the people will overthrow King Mswati and will establish a secular democracy under Jewish financial control. They will benefit from this arrangement for a while, until they won’t. It will serve as a safe haven for Jews in a time when one is desperately needed. 2) I used to think that Vladimir Putin was the third antichrist. He may still be, but his demolished reputation and distrust amongst even America’s most sworn enemies is proving to be a bit of a problem. As Russia’s economy plunges into darkness, the leadership of the KGB may be second guessing their decision to stand loyally by Putin. It will not matter what they think, however, as the international community prepares to assassinate Putin once and for all. The mistake they make is in assuming that World War III can be prevented by eliminating him from the picture. What they don’t realize is that another war monger waits in the wings waiting to pounce to dominance. If Putin is indeed assassinated, then his successor, Vladimir Zhirinovsky, takes the helm as a war monger that will stun the west into silence. He will take Putin’s assassination as a declaration of war and will immediately begin invasions in Crimea, Ukraine and Poland marching into western Europe for his ultimate prize. Not that Putin wouldn’t do this himself if given the chance, but the current unrest in Russia might be tampering his war ambitions….for now. 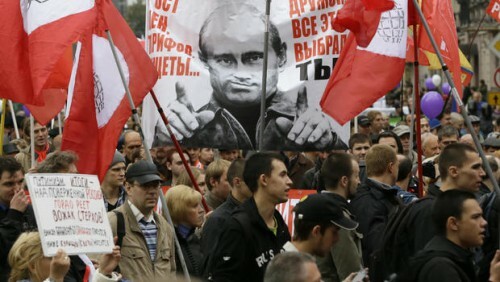 Domestically, nothing can be more a motivator to the march for war than Putin’s untimely death. He is evil, but Putin isn’t the only evil lurking the halls of power in the heart of the bear. 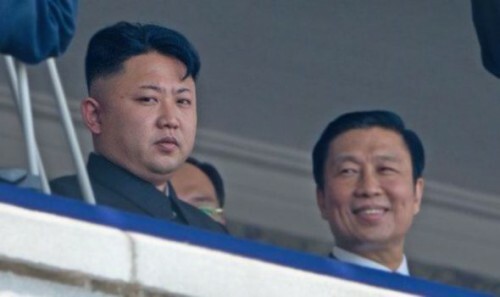 3) Kim Jong Un has an aura of inevitable demise on his persona. His latest actions will come as a result of desperation from the embattled region. Much news does not come out of the famously guarded North Korean government, but there is a feeling of hostility amongst his closet advisors and panic amongst the Chinese power elite. Kimmy is naive to focus his angst on the United States while ignoring the plot to assassinate him from those closer to him. After murdering his uncle and other close family members, the military leaders fear insanity and need to save their ship. They will hold off for a whole year, but by 2016, they will have reached their ultimate breaking point. In collaboration with the Chinese, they will overthrow him and try to install a new leader. The problem is that, in the uncertainty, North and South Korea reunites as a result of international pressure. This then turns the attention inwards towards China and, as I’ve written before, war is declared on the communist regime there. It is interesting that Putin and Un are becoming close friends. They are both in demise and doomed to face gruesome ends. I’ll have more to share soon. Keep an eye out for it. I have been meaning to write a number of blogs, but I just haven’t been spiritually up to doing so. Instead, I’d like to give everyone a heads up as to what you should expect I’ll posting sometime in the next few days. Russia, China (specifically in relation to the Dalai Lama), India, The Ferguson Report, The Spring Uprising, Benjamin Netanyahu’s election predicament, the United Kingdom (since such articles bring a lot of traffic) and North/South Korea are all on my agenda for sharing predictions and insights in varying capacities. There’s a lot that has to be said on all of these topics, as well as some updates on where we are in relation to the civil war. Keep an eye out for them in the near future. Remember when I posted a forewarning of the Million Mask March that eventually splintered into the massive millions in the streets worldwide protesting police brutality and income inequality/injustice in December? Well, I have another force for you all to keep an eye out for. 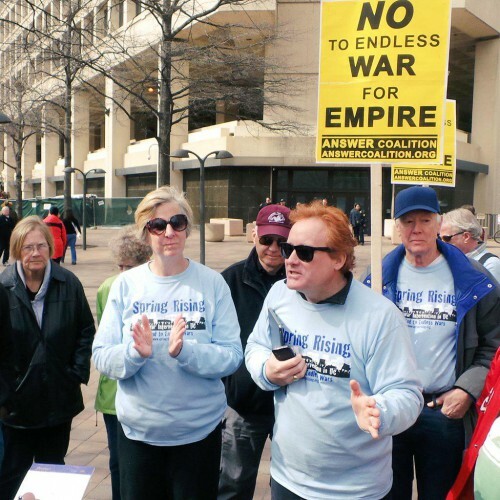 It’s the activist group using the Twitter hashtag “SpringRising.” Their purpose is to oppose the expanding wars overseas and they will come out in large numbers by the time April rolls around. The government will attempt to suppress and put down these large scale demonstrations, but that only leads to more violent conflict that eventually becomes the civil war I’ve been referencing for a while now. At the end of this month, the news will begin to spill into a massive front page affair by the end of next month. This is the Vietnam era all over again, whether the elite like it or not.